C-BBVantage Blood Bank Management System Software has been designed and developed for Blood Banks, keeping in mind the current day scenario so as to help the blood banks in managing their blood banks in a better way. This software replaces all paper work and helps in better management. The Medical Sector is the most important sector in a community and therefore, development of this sector is very important. 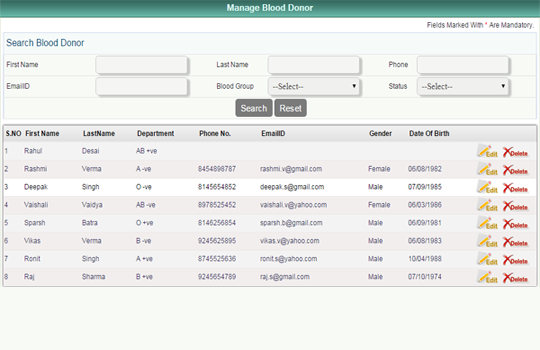 So for the smooth work flow and operational efficiency across the Blood Banks, Hospitals, Nursing Homes, NGOs’and other healthcare organizations the Blood Bank Management software is required for availability of blood of desired blood group and in Time. C-BBVantage a Blood Bank ERP Solution provides the benefits of its streamlined functions, excellent patient care, effective cost control and very importantly enhanced and secured administration & control.C-BBVantage is robust, interactive and promptly & quickly provides the required information.And More importantly it is supported by a very reliable and dependable Coelentera support. With the right implementation of the software you can benefit in many ways and also it makes the management very easy and error free. The software helps in tracking donors, getting Prompt and Correct Reports when required, and Centralized data storage with security. And last but not the least; the software will help in Customer Satisfaction. Promptly and quickly provides the required information. Setting up the blood bag number and expiry date. Instant search of required blood group and issue to patient. Provision to set staff available timings for the blood donation. Easy blood group search as per requirement. Patient/Relative can request for online appointment. 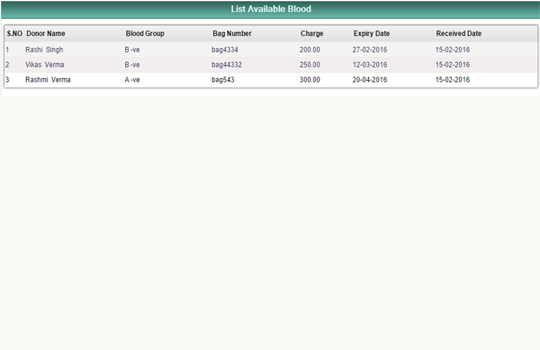 Blood bags availability can be seen in detail. Provision to add service charges of Blood Bank. Tax master that may be required to include in billing. Outpatient cash and credit billing. Authorize billing and immediate updation of collection of cash. Provision to search old bills with easy search strings like patient name, mobile no., emaild-ID and so on. 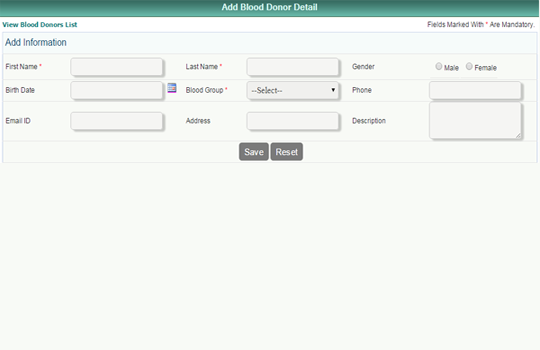 This module is an innovative and special feature in C BBVantage Blood Bank management system software. It enables all staff users to communicate among themselves electronically for official reasons rather than visiting the concerned person for any such discussions. Departmental message can also be sent by administrator which is common to the staff of that particular department. In a same way any kind of document can also be shared among other staff as per requirement. Thus reducing paper work and saves good time to utilize it in a better way for Blood Bank management. Provision to add Staff Type and Specializations. Provision to set staff timings includes Doctors. Easy and instant search utility to search staff members. Creation of Salary structure, pay calculation, printing of salary slips, salary certificates, PF statements and so on. Other activities like appointing staff, maintaining their database including their bio-data, fixing allowances and deductions, appraisal letters, Loan and advances, termination process etc. Employee documents like Photograph, ID card, Address proof, Passport, municipality documents, agreements etc can be scanned and attached in the software. Provision to raise purchase request for any item. Purchase order generation and processing. Allocation of purchased items to the requested departments. Provision to transfer stock from one department to another. Provision to Create / manage users. Import database utility, very helpful in case of preexisting records. Provision to allocate role to the respective user. Provision to create / manage roles and assigning privileges and permission of information to the corresponding role. Billing rates for various services. Also, we have many more reports and can add more reports as per requirement.